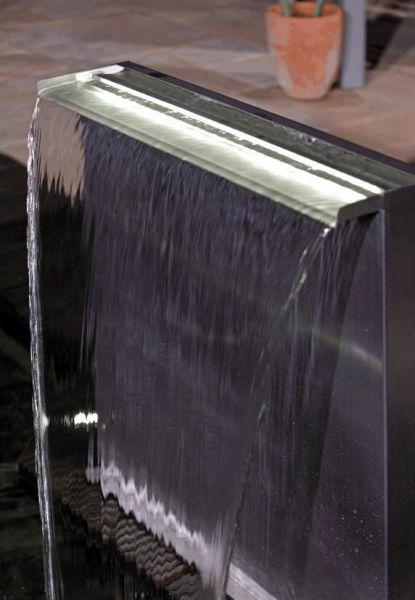 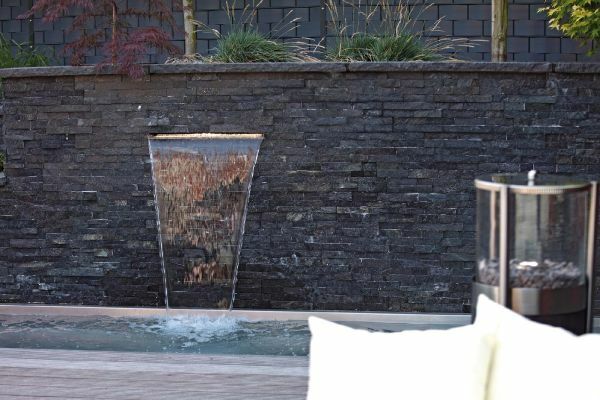 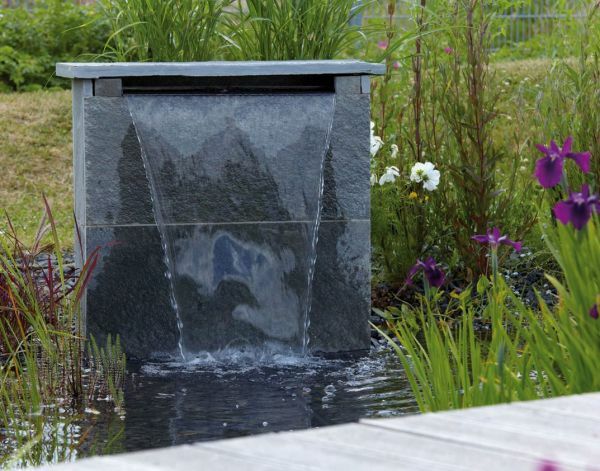 OASE Engineers have produced a range of Stainless Steel Waterfall Blades which are designed to be built into a wall or pond to create a graceful cascading waterfall. 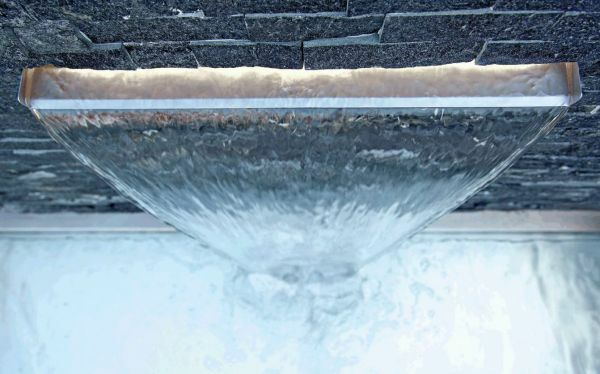 The Water Blades are constructed from high quality marine grade 316 Stainless Steel and contain hidden baffle plates which will spread the pumped water across the width of the internal box and tranquilise the water flow, causing this to escape and fall in a uniform and complete water sheet. Can be built into structures or wall mounted. 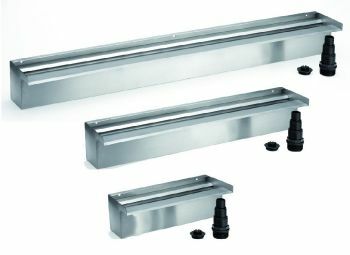 Rear and bottom entry connections for flexible installation. 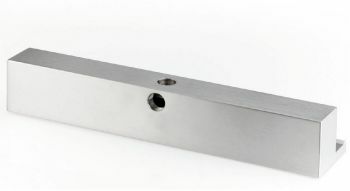 Supplied with staged hose fitting, blanking plug and hose clip. 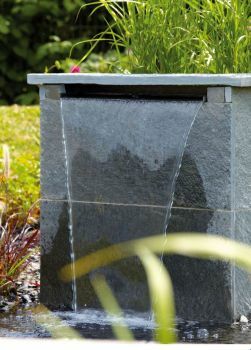 Standard 60mm or extended (XL) 120mm front spout options. 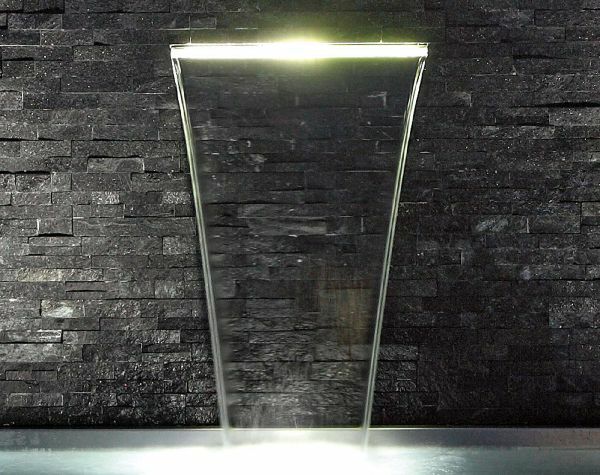 Optional Warm White LED Illumination can be fixed inside blade. 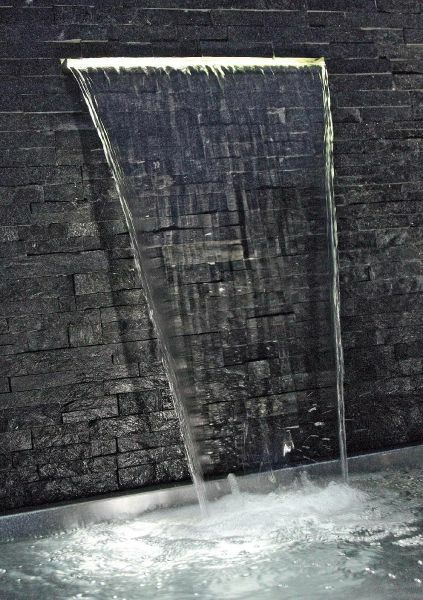 The Waterfall element is fitted with a BSP Female Threaded Connector in both the rear and base of the blade, allowing the flexible hose connection from the pump to enter either behind or below the blade. 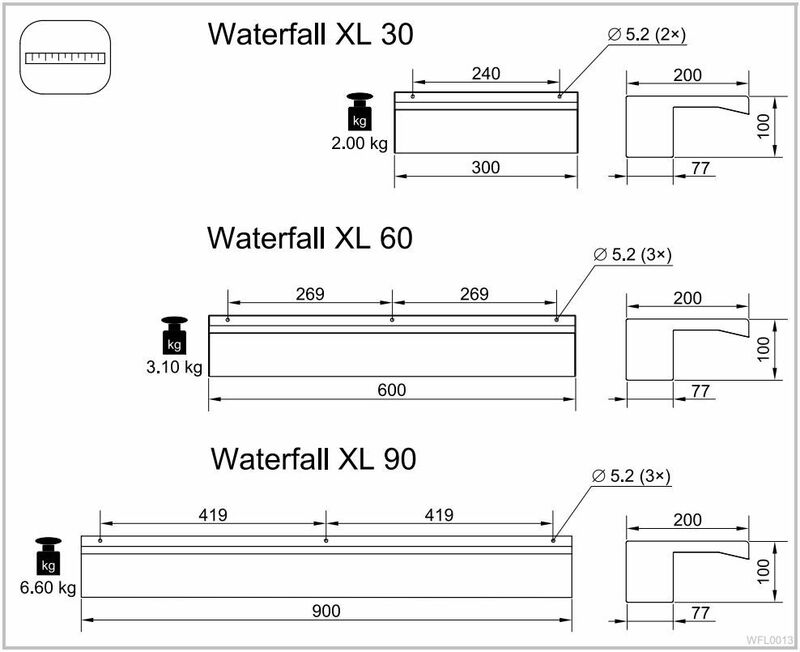 OASE Waterfalls are also supplied with a blanking plug and a threaded stepped hosetail adaptor, allowing flexible hoses of various diameters (ø1", ø1 1/4" & ø1 1/2" internal hoses) to be connected between pump and the waterfall blade inlet connection. Optional Warm White LED Illumination is also available and are designed to fit directly into the OASE Waterfall element. 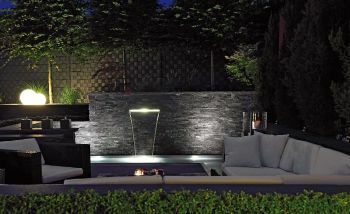 The geometry of the illumination causes the light to transfer gently down with the cascading water, creating a wonderful effect during evening time operation. 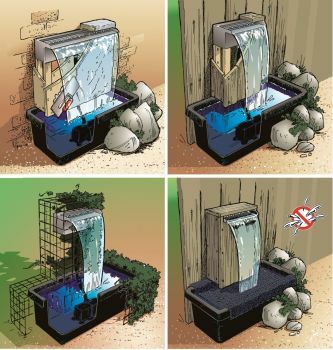 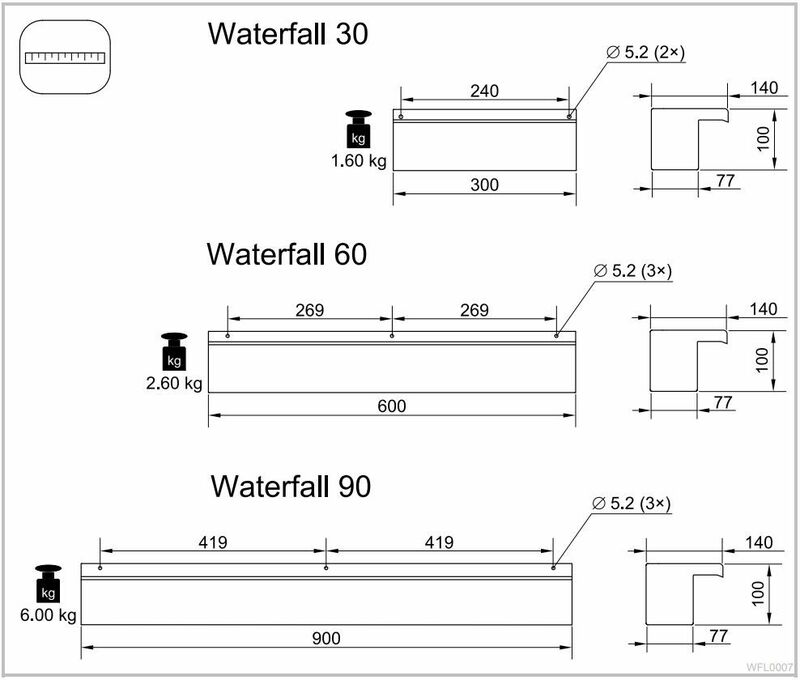 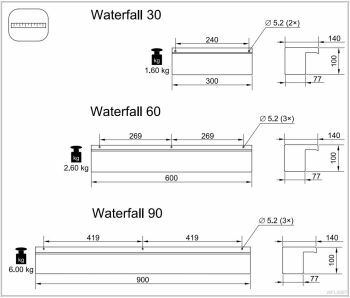 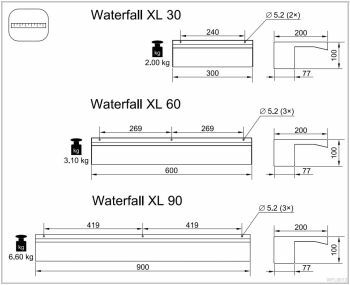 Water Garden Ltd recommend a minimum flow rate at the point of discharge of 50 litres/minute for the 30cm Waterfall, 100L/min for the 60cm Waterfall and 150L/min for the 90cm Waterfall. 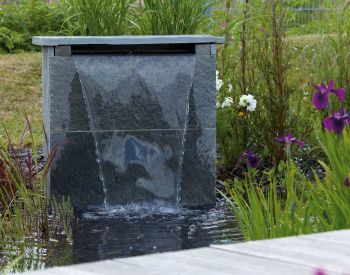 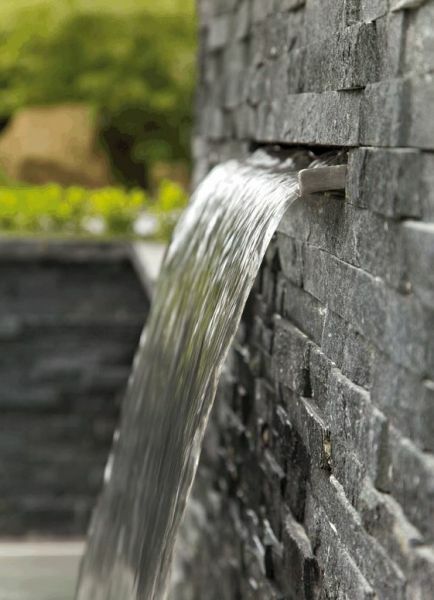 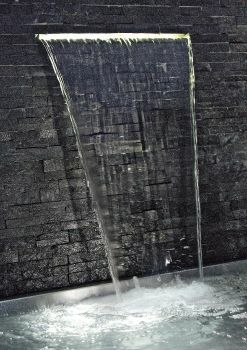 The waterfall feature will look best if elevated no more than 0.5m - 1m above the pond or water reservoir.